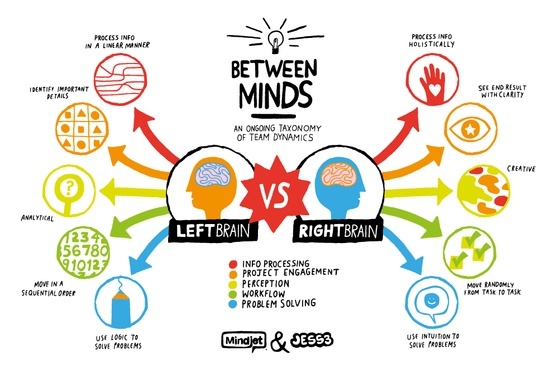 It can be difficult to explain the differences between the functions of the left and right brain. This infographic above (from here) and below (from here) are great visual resources to assist. If you liked this post, check out our other infographics.